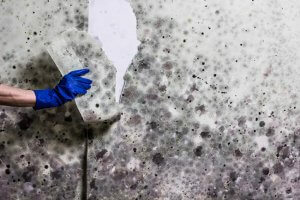 For the residential Grand Rapids, Michigan homeowner, finding a mold infestation can be a fairly traumatic experience. The mold is not only aesthetically unpleasing but can also pose an actual health hazard to the inhabitants of the home. However, the problem can be resolved in a safe and relatively affordable manner. 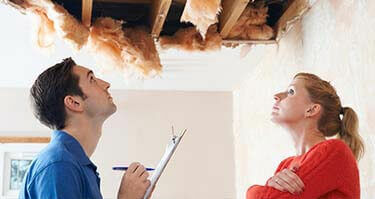 Mold is a tenacious creature that can exist on or in the building materials of your home. At first, homeowners may notice a musty smell that is indicative of a mold infestation. At this point, the area where the smell is strongest should be investigated for further signs of the fungus. More obvious signs are discolorations on the cinder block of the basement foundation or black spots on sheetrock in a kitchen or bathroom area. Lastly, a rise in the allergy or asthma problems in your family can be a more subtle sign of the presence of mold. As a fungus, mold requires moisture, heat – mold will lie dormant in the winters of Grand Rapids – and an organic substrate to take hold and thrive. Mold also prefers darkness as it cannot grow under ultraviolet light. For example, damp basements, places where a small water leak has developed or even condensation on water pipes can all support the growth of mold if there is suitable organic matter nearby. If you do find mold, you can try cleaning it yourself but it is often best to have a professional remediation company check out the problem as they have the knowledge and experience to completely eradicate the problem. While many homeowners are under the impression that simply killing the mold with bleach and then restoring the affected surface to its original condition is a valid remediation technique. It is not. One problem with bleach is that it loses its potency over time as the chlorine in the solution will evaporate when the bottle is open. If this is the case, then you are merely adding to the problem by providing even more moisture for any mold that you may have missed in the remediation process. Professional mold remediation companies in Grand Rapids will take a different approach by identifying the root of the mold problem and remedying that issue before addressing the problem of the mold itself. As the homeowner should expect, the cost of mold remediation or removal will depend substantially on the square footage that needs to be tested and treated. In general, a smaller home can be air quality tested for as little as $300 while the largest homes can run a little higher. In short, the overall number of samples collected and analyzed will determine the final cost. Similarly, the location of the mold and the ease of access to it will also affect the cost. Removing some sheetrock in a downstairs bathroom, dealing with the mold and repairing the area is far easier than having to accomplish the same tasks in an attic area. 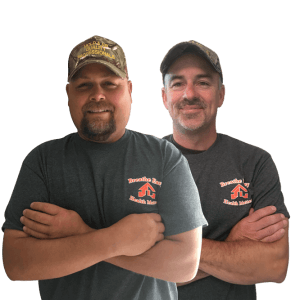 For more detailed information on mold and the best way to safely remove it from your Grand Rapids home or to speak with a qualified mold professional, please contact us at the Mold & Air Quality Professionals. We can be found online at MoldAQP.com or reached directly at 734.755.3457.